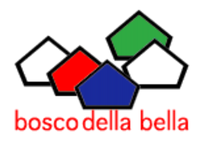 The Holiday Village Bosco della Bella is located in Ponte Cremenaga in the picturesque Malcantone Region between the Lake of Lugano and the Lake Maggiore. - By car: from the A2 highway take the exit “Lugano Nord”, follow the signal for Ponte Tresa, and take a right turn just before the customs (follow the signal pointing direction to Luino). The Village has 27 chalets, which can accommodate from 6 to 10 people. Each cabin has a kitchen, living room, WC/shower and balcony. For large groups there is a traditional “Casa Roncaccio” which is divided in two zones with 2 kitchens and 2 living rooms and it can accommodate up to 26 people. All the structures, with a surrounding nature of 60,000 m2 total area, provide the ideal atmosphere for families and groups to relax and enjoy their vacation. Our professional restaurant Staff offers local delicacies as well as a high standard cuisine to our customers. The location of the Restaurant together with its outside patio for outdoor dining, allows our visitors to relax and enjoy the beauty of the place, while the special evening events provides an additional entertainment. With us you’ll never get bored!!!!!!!! Our guests can simply relax at the swimming pool area where we provide free of charge, comfortable deckchairs. For those who prefer other sport activities, football and volleyball grounds as well as ping-pong tables are available. For little kids we have our specially designated playground area. We also have a big Gazebo for events and parties. Nice barbecue area is available for families and groups (there is an extra charge for this service, please check the availability beforehand with our staff. We also will provide you with all necessary tools for a perfect barbeque). You can explore the beautiful nature of Canton Ticino by bike or on foot as many hiking trails surround our village. You can also take a short walk inside our park and discover the unique beauty of original Alpine flora and Tresa River that is bordering our village. The city of Lugano with its shops, the Lake and wonderful Parco Ciani. The Brissago’s Islands and their Botanic Garden. The weekly international market in the City of Luino (on Wednesdays). (Luino is in Italy so we recommend to bring ID/passport with you for crossing the border). For additional information our staff at the info center is here to help you. Private parking area for cars and busses. Bus drop-off area in front of our Information Point. Small size dogs are welcome (50 CHF extra) however they have to be kept on leash at all times inside the village and they are not allowed in the swimming pool area.